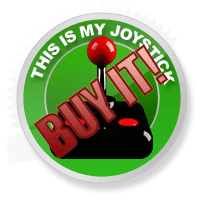 Review: Alan Wake Review - This Is My Joystick! When a game that has been many years in development is about to be released, it’s difficult not to reminisce and think about where you were when the game was first announced and the feelings you had when the developers gave you those first juicy details and whether those same feelings are still relevant today. Six years ago, the Xbox 360 platform wasn’t even released and Alan Wake was a game coming exclusively to PC. As we all know times have changed. Of course, as we’ve been waiting for the game, many great releases have since come to light, some of them offering similar gameplay mechanics to Remedy’s latest. This has led many to question whether the release will hold up to today’s standards. Part of the problem Alan Wake faces is that it has been in development for six years and inevitably sets the standard incredibly high for itself, as surely a game that has been in development all this time would have to be a truly exceptional experience. The story of Alan Wake takes place in Bright Falls, a remote community situated in mountain passages and near open rivers, revered for its tranquil nature and infamous landmarks. Famed writer Alan and his wife have decided to take a vacation to Bright Falls in order to get away from the pressures at home and spend some quality time together. However, as the story unfolds, it becomes apparent to Alan that his wife has other plans for him during their stay when she buys him a present, a typewriter. Alan has been suffering from writers block and has not put pen to paper for two years, and while his wife and agent seem keen for Alan to get to work on another masterpiece, the author doesn’t seem to share the same enthusiasm. When Alan’s wife (Alice) shows him the typewriter and tells him that she has made an appointment with a councillor to help try and get his creative energy back, Alan becomes enraged and storms out of their rented cabin feeling deceived and dejected. However, as soon as he allows himself time to think and gain some self perspective, Alan begins to learn about the sinister truth lurking in the underbelly of Bright Falls and realises that the peaceful, tranquil nature outlined in the travel brochure has taken on the form of something else entirely and can provide enough inspiration for a library full of literature. Ultimately, Alan Wake is a supernatural thriller and this is emphasised by creepy landscapes and vivid nightmares that bear more than a passing resemblance to something you would see in Twin Peaks or the Twilight Zone. Certainly, there is the explained entity that is articulated into words, described effortlessly by Wake’s sweeping narrative style, but there are also abominations, machinations and realisations that simply cannot be conveyed in any legible way, no matter how much the writer scours his vocabulary. This, complete with a well developed plot and interesting characters, really puts together a compelling world that draws you in from the opening scene. The plot in this game puts many great books, films and television series to shame and deserves the same undivided attention from the player in order to truly appreciate the message it is trying to convey. Does this play as well as it reads? 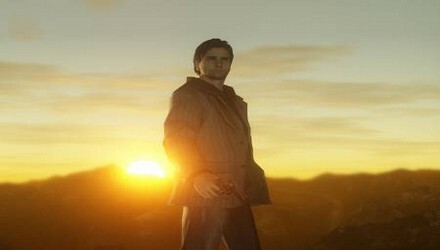 Many have compared Alan Wake to Atari’s Alone in the Dark from 2008, and while that is somewhat true; the use of light and dark plays a significant role in both games and they are both episodic in the narrative structure; Alan Wake feels less stunted, blocky and resistant to innovation unlike Atari’s flawed reboot. Alan Wake is capable of genuine atmosphere, the narrative is more focused, there is genuine emotion at its core and the controls are much more fluid and responsive. In fact, the controls remind me of Max Payne, and that is absolutely a good thing as Remedy’s previous handled itself incredibly well. The game seems well suited to a console interface and the control scheme is a natural fit for an Xbox pad. There are even similarities to Max Payne in the way the narrative is unveiled onscreen, such as the detailed, pained descriptions of life and the environment and the creepy, mental experiences that Alan undergoes which will be familiar to anyone who played Max Payne and remembers the horrible dreams Max used to experience about his wife and child. Certainly, Alan Wake utilises the stereotypical creepy old forest at night technique for much of the gameplay time, but it does so meticulously, making sure that it doesn’t overload you with too much of the same thing over and over again. Even as you draw deeper into the game, you will find yourself still stopping to observe the landscape around, provided that you are in a well-lit place, and still keeping an eye out for clues and landmarks which will help you understand more about the nature of Bright Falls. For much of the game, Alan is equipped with a flashlight, but this is as much a weapon as the revolver or flaregun in his other hand, although its not much of an advert for the Energiser batteries, which are apparently longer, longer, longer, longer lasting batteries, yet you go through them VERY quickly. Throughout the course of the game, the player will need to collect batteries for their flashlight as much as they will need ammo for their weapon. The player will need to use both flashlight and gun in tandem in order to quell their foe; first focusing their flashlight on the shadowy entity causing them to scream and thrash about furiously, and then once exposed and drawn into the real world they are left susceptible to the stream of your bullets. However, you are rarely placed in one on one situations, and more often than not will find three or four of these shadowy abominations nipping your heels, which is where the evade action comes into play. By pressing in the left bumper and using the left analog stick, Alan can one minute be burning down a shadowy creature with his flashlight and in the next, perform a cinematic evasion manoeuvre that sees him dart away from the attacker approaching behind him, placing him in a position where he can fight both at the same time. This action looks pretty cool when performed by the player and seems dually satisfying each and everytime. Wake is armed with a typical arsenal of guns; a revolver, a shotgun, a hunting rifle, even a flare gun. However, while the guns follow standard procedures seen in most other games, I can guarantee you that the flare gun is unlike any other you’ve seen in any game ever. In fact, I would go as far as to say it is the most powerful weapon in the game, as one shot can set the screen ablaze with a red hue light and kill several Taken at once. This is also the case when Alan throws a flashbang grenade, as this will also light up the screen and can defeat multiple enemies at one time. Clearing a room with a flashbang grenade takes on a whole other meaning in Alan Wake. This is why the game resonates deeply with me, in the way it makes things that seem powerless, such as the flashlight, the flare gun, even the written word, seem like the most powerful things on earth when placed in the hands of the player. This provides an entertaining and quite unique experience. Something else different about combat in Wake is when our protagonist is in battle and he’s wounded. As normal, time will heal as long as he isn’t assaulted by anyone else; but in this case, light will be his true salvation. In order for Alan to survive, he will need to find sanctuary in the light, as the Taken cannot follow him there. The light, strangely, serves as Alan’s health pack, and when you happen upon a spotlight, not only will the game checkpoint, but it will also tend to your wounds. Certainly an unorthodox approach to looking after the weary and wounded, but it does make sense within the context of the game. Other features of Wake that define it and separate it from other games in the same genre is the way Alan narrates about the landscape around him, and usually does so in order to convey clues to the player as to what they should be doing. It’s never in your face so much that it doesn’t give you enough time to figure it out for yourself, but there’re usually gentle reminders and just slight hints so that you’re put on the right path. Also, when you complete an episode within Wake and go onto the next one, not only do you get a greater feel for the diverse soundtrack in the game, you’ll also get a recap of what has happened in the previous episode just so you’re up to speed with the story. One of the most memorable parts of Alan Wake are the graphics. You’ll find yourself regularly observing the landscapes, drooling and commenting on how gorgeous they are, whether you’re viewing them at day or by night. Bright Falls is a beautiful place. The water moves naturally, the waves as calm or as violent as the scene necessitates, and the mountains seem sturdy enough and fit to climb. Alan Wake is like a gallery of photos from your favourite holiday, which you can look at again and again. But the graphics aren’t always used to beautiful effect and are certainly able to recreate terror as much as joy. For example, when you step outside of the light and entrench yourself deeper into the darkened forest, you’ll notice a shadowy haze envelop around you, and suddenly all you can see is a thick cloud, not dissimilar from the black smoke that plagues the island in Lost. This presence can intimidate you just by appearing, but when it takes life in other things, both living and not living, the thrill and exhilaration you had in your heart quickly dies and suddenly you’re panicing, palms clamming and hairs standing up on end. Alan Wake is very aware of how to use both light and dark effectively, and is an absolute graphical marvel. The graphics aren’t Wake’s only strong point, as the game can scare you with its orchestration alone, without taking anything else into consideration. The musical score, sound effects, voices, all of it, really know how to put the gamer into the environment, draw them into the game and place them in a real survival horror situation. In truth, I’ve not had the desire to rig up my surround sound system for a game since the days of Doom 3, but Alan Wake demanded it. Whether it is the masterful soundtrack that pronounces itself appropriately at the tense, the scary, the calm or tranquil moments, or the horrific, chilling sound effects that seem to snake and slither in the old decaying woods, even the voice acting (although I would argue that Alan Wake’s wife is particularly unbelievable at times and overplays her role as the dutiful and devoted house wife a bit too well) Wake has you spellbound. Listening to the Taken recite their speeches is also particularly chilling, as at first their dialogue seems unfounded and unnecessary, yet if you listen, these are speeches that would seem normal if spoken by anyone in a normal tone. However, when these speeches are uttered in otherworldly voices and stutters and stammers, suddenly you find yourself wondering what type of enemy are you actually up against. Alan Wake has a diverse soundtrack and brilliant sound effects and uses it all to ensure each moment gives the right feeling every single time. Even Roy Orbison had his tones offered to the game! I’m sure the question you’re all wondering is, has it been worth the wait? Well, whether you decide to enrich yourself with Bright Falls culture, or want to ensure you’re exploring everything, learning more about the characters, obtaining every page of the manuscript, you can take a lot away from Alan Wake. It’s still unclear to me why this has been over six years in development, and I feel that’s an issue many a reviewer and gamer may not be able to get away from; I suppose it is difficult not to wonder what you would have felt about this game if it had been released all those years ago, would it have had more impact on you then, than it does now? Regardless of this, Alan Wake has finally arrived and it’s a masterpiece, brilliantly conceived from the ground up, and an excellent original intellectual property that, in my eyes, will stand up as a Game of the Year candidate when this overly packed year of gaming finally disappears behind a veil of shadow. Not since Silent Hill have I had even a twinge of dread, of uncertainty of what is to come next or what awaits me around the corner, but Alan Wake has managed to bottle that anxiety brilliantly.